All visitors to Kyoto don't miss seeing the Golden Pavillion, do they? In fact, it is one of the Must-sees of Japan. When you step into the precinct and the shining golden pavillion comes into sight, you will probably say something exclamatory. In addition, the so-called mirror pond in front of it makes this pavillion more impressive by reflecting the pavillion on its water surface as if it were a mirror. Yes, it is surely the one sight you can't skip on your tour. 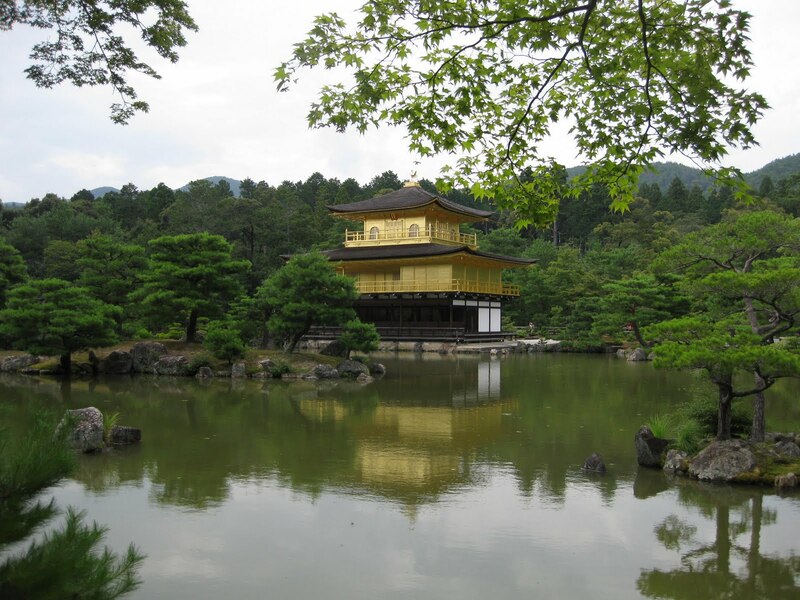 The time when the Golden pavillion was founded was when Kitayama culture was at its best. Kitayama culture is a fusion of aristractic culture and samurai culture. The temple represents Kitayama culture. The pavillion was made with those characteristics on each floor; the first floor of the pavillion is in so-called Shinden-zukuri, or Aristocratic style. The second floor is in so-called Buke-zukuri, or Samurai style. The third has a religious atmosphere of Zen. On the other side of the city, you can also enjoy the other pavillion, the Silver pavillion. Whether the pavillion was coated with silver at the beginning or not is unknown, or has many views. Putting that aside, the Silver pavillion has a different atmosphere. The founder of this temple, the grandson of the founder of Golden pavillion, was a person of taste or a person of culture. He founded the pavillion based on his grandfather's work. However, he loved an authentic beauty known as "Wabi" and "Sabi" originated in Zen spirit, the main idea of which is simplicity. Please touch the beauty coming from an inner part of your heart when you are in Kyoto. There is one more thing I want to mention about here. That is moss! 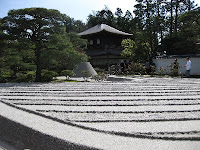 The founder, the 8th shogun of Ashikaga shogunate, liked Saihoji temple which is known as a moss temple. One half of the garden was covered with this green moss. 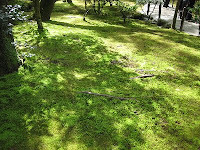 I recommend you to visit here in May or Jun while its green is vivid to your eyes. This temple doesn't show you a gorgeous aspect but I am sure you will understand the beauty of our culture while visiting here. 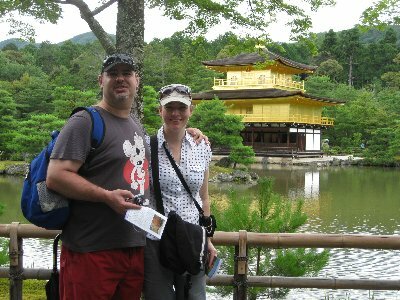 I visited both temples with an Australian couple. After visiting both temples, I asked which they preferred. They said that they understood each temple's authentic beauty. Their answer was that the two had their own individual beauty and that both were nice in their own special way. That is probably the right answer!